Energy analysts at NRG Expert have been taking an in-depth look into energy in the Middle East. They have sourced all the essential Middle Eastern energy data and put it all together in one place, in the NRG Expert Global Energy Almanac. To help companies understand all the key energy data for the Middle East, NRG Expert have therefore pulled all the essential energy data together into one central database called the NRG Expert Global Energy Almanac***. This energy database is ideal for companies who want to obtain accurate consumption and production figures for the Middle East. With the Global Energy Almanac customers can purchase the entire regional database or just purchase energy data on individual countries. NRG Expert also provide market research on specific energy types in the Middle East in their collection of market research reports on gas, oil, coal, renewables, electricity, T&D, power infrastructure, water, metering and smart grid. 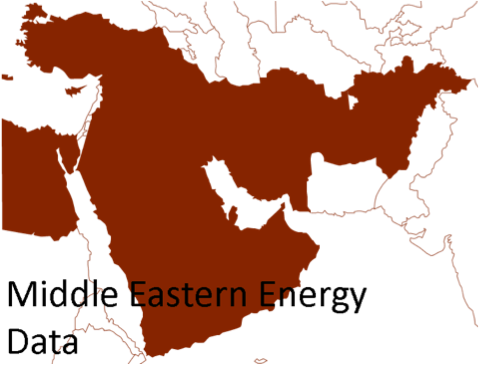 What’s in the Middle Eastern Energy Database?